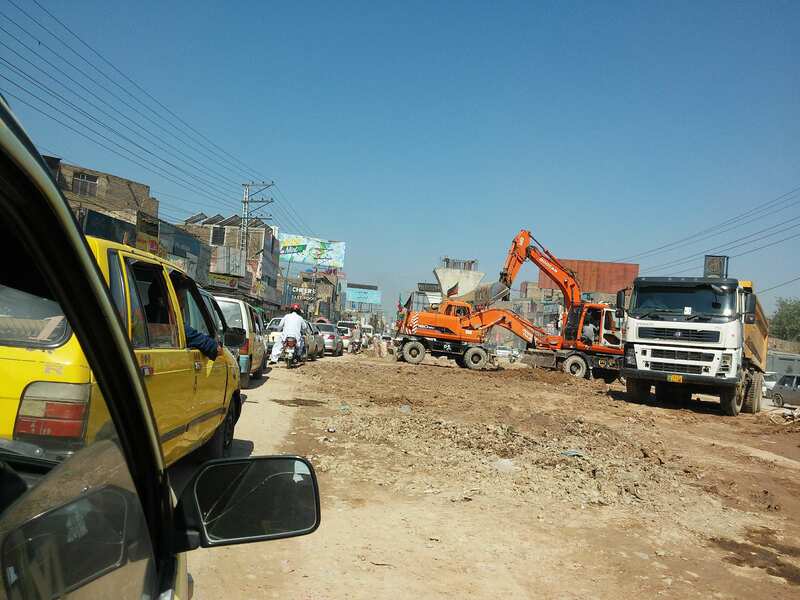 The construction of a new bus lane has created congestion, air pollution and significant health issues, according to local Peshawar commuters. Peshawar Development Authority (PDA) has created the Bus Rapid Transit (BRT) system TransPeshwar to meet the growing needs of Peshawar’s population which has reached nearly 2 million. Approximately 500,000 passengers are estimated to use the BRT daily, which was due to be completed by late April, however the main financier Asia Development Bank has hinted that the infrastructure may not be completed until early October. 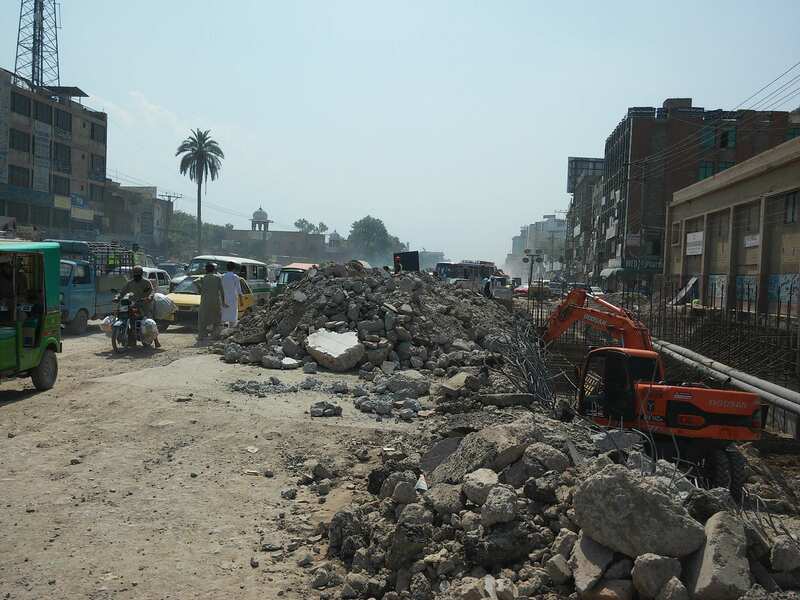 Local cab driver Zahir, who has been driving in Peshawar for 17 year, travels along the BRT construction route several times a day and says the construction has forced him to turn around on several occasions. “Before the BRT started, it took us 20 min to cover 15km but after the construction it has been taking us two to three hours,” Zahir said. According to Zahir, the “dust and smoke everywhere” has resulted consistent coughing and flu like symptoms that have forced him to self medicate as he cannot afford to visit a doctor. Rashid Ali, a local Engineer has praised the idea of the BRT, but suggests that the government need to accelerate the construction work immediately for completion and should provide alternate route for the public.Ali says his travel times have increased from around 20 minutes to nearly 2 hours however he still believes that the BRT will improve Peshawar public transport system in the long run. “BRT is a newer, faster, facilitative and environmentally friendly service,” Ali said. There is currently no public transit options in Peshawar city. The construction of BRT aims to alleviate transport issues that commuters currently face, but for those working in the industry their concerns express a different tone. Jamroz Khan a bus driver for more than 15 years who also travels along the route daily said he “cannot hear a single horn” due to the loud noises from the building and also suffers from “mental torture due to noises”. “[The BRT also] caused me pain in my feet and back due to too much using brakes and clutch,” Khan said. Khan says that while the project will be good for the public, he fears the BRT will result in job losses. “Our vehicles will no longer be of use and there is no alternative jobs for us which will lead to unemployment, ” said Khan. 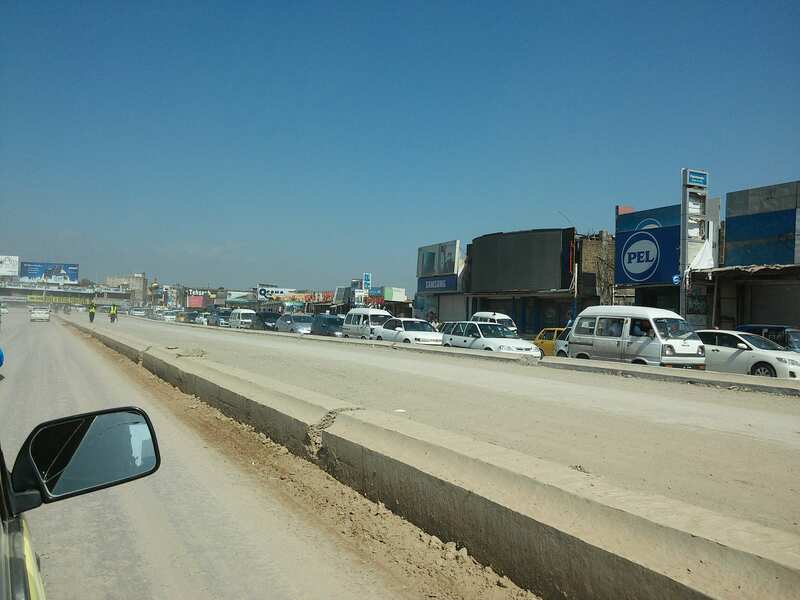 Locals have suggested that in order to eradicate the heavy traffic during the construction phase, the government should create a gap in the timing of the offices, schools and universities so that the public do not have to flow to the road at the same time.